For those of you that don't know, HauteLook is a fantastic members only site that offers high quality products in clothing, beauty, living, kids, and even getaways for a fraction of the actual cost. 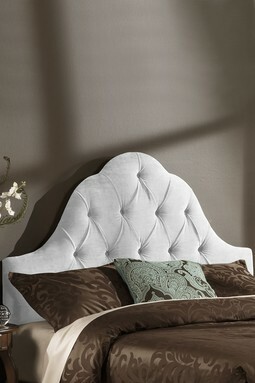 They always have great lines on their website but their sale with Gold Coast Furniture really caught my eye today. The sale is going on until Saturday, January 22 so be sure to stop by and lay claim to one of these fantastic pieces of furniture. 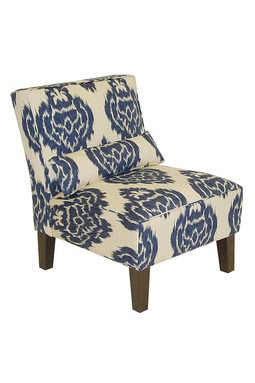 Anything with ikat is always going to be a winner and I especially love the blue. 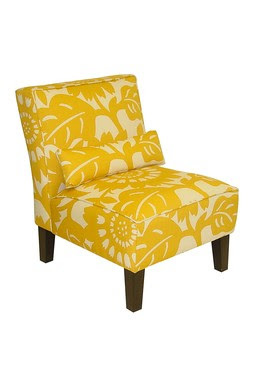 The yellow chair is also so bright and playful. Oh, hello beautiful, can I take you home with me? There is something about aubergine that is so glamorous and regal, I think it's because aubergine is the perfect color to go with metallic. 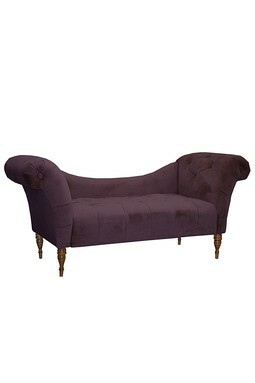 Add this chaise and you're definitely going to create a statement piece. 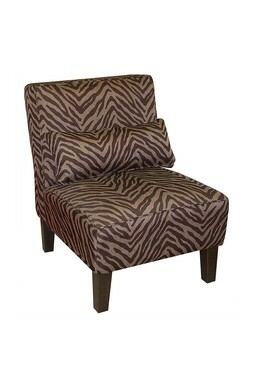 This would look incredible with silvery-grey walls and pops of metallic bronze accessories...insane! 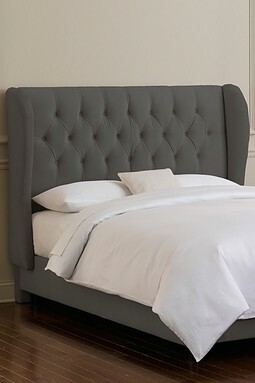 If you've been eyeing the Brea Bed from Horchow like I have, than take a look at this beauty for only $650!!!!! And at that price you can always add the nail heads. Nate doesn't do well with sporadic decisions so I know he would not be pleased if I got this for our bedroom right now but boy am I tempted. 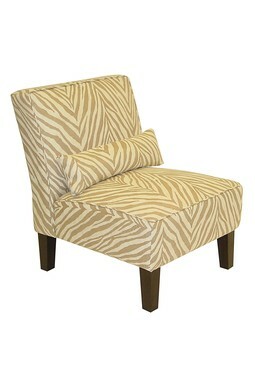 This could be straight from Jonathan Adler, a little dress dramatic, but also way less pricey. This could be incredible against a brick wall in a bedroom (or black and white vertical stripes for that matter). 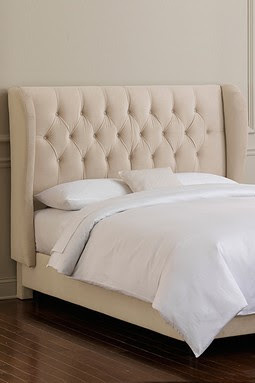 I'm not that excited about the duvet with the leather headboard though.